Repeats every week every Wednesday and every Friday until Tue Apr 30 2019 except Wed Sep 19 2018, Fri Oct 05 2018, Fri Oct 26 2018, Wed Nov 21 2018, Fri Nov 23 2018, Wed Dec 26 2018, Fri Dec 28 2018, Wed Jan 02 2019, Fri Jan 04 2019, Wed Mar 20 2019, Fri Mar 22 2019. Join Ms. Carol Wednesday and Friday morning for stories, songs, and more! Themes change weekly. 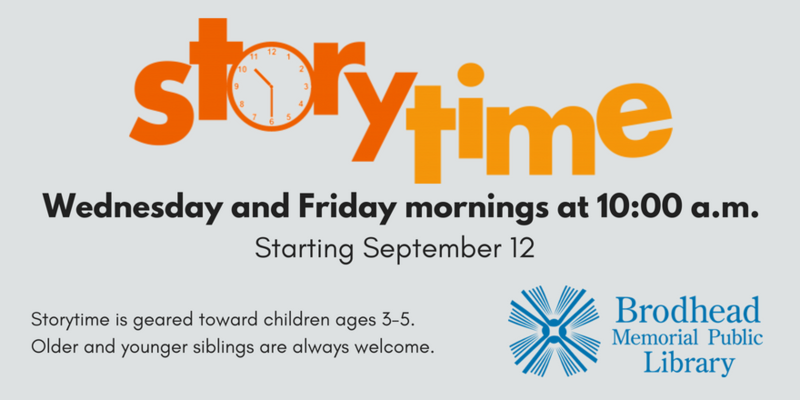 Story Time is geared toward preschool-aged children, but older and younger siblings are welcome to attend. All children under age 8 must attend with an adult. Note: Wednesday storytime is 30 minutes long. Friday storytime is 45 minutes long and typically includes a craft, game, or additional activity.